The city announced it was shutting down Groove Lounge Tuesday following a fatal shooting in the club's parking lot early Sunday morning. 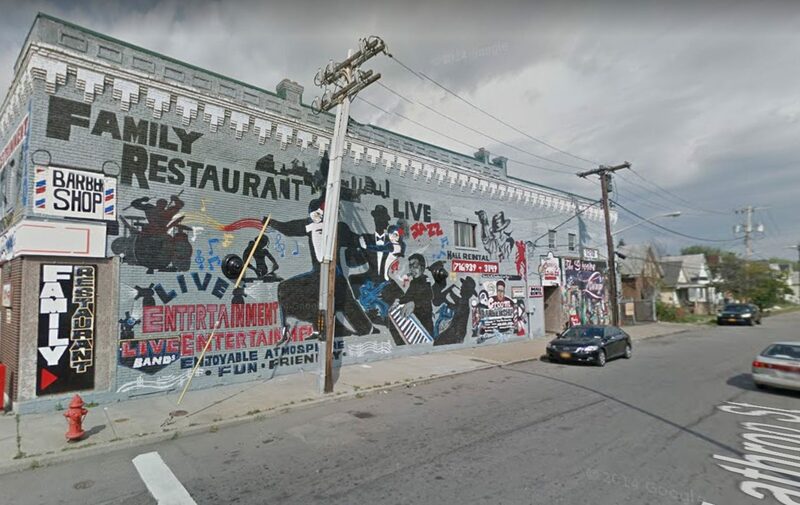 Last summer, the city and police closed the East Side nightclub after an off-duty Buffalo police officer and another man were shot as they were leaving the establishment. After that incident, the city reached a tentative agreement with the owners of Club 1210 LLC — the parent company of Groove Lounge restaurant, Club 1210 nightclub and a community empowerment organization — to operate all three subsidiaries under one roof at 1210 Broadway. In turn, the city was to get increased cameras, lighting and security at the business, said Steven Cohen, the attorney representing Club 1210 LLC. The "binding agreement" was signed by all parties, and State Supreme Court Justice Dennis E. Ward was expected to put it on the record, said Rashied McDuffie, assistant corporation counsel for the city. In November, there was another shooting. A fracas started inside the building between two men when one of the men tried to grab the other's gold chain, said Council Member David A. Franczyk, whose Fillmore District includes the Club 1210 establishment. The fight spilled outside and the aggressor and the victim then went to their respective vehicles to get firearms. Shots were fired back and forth and the victim was shot in the shoulder, McDuffie said. Police identified the man who was shot and killed early Sunday morning as Marquino Green, 38, of Buffalo. Cohen, who represents the owners of the club, said that the owners have cooperated fully with the city and that on the night of the latest shooting, there were eight security guards on duty and 13 surveillance cameras in operation. "If it wasn't for our security system, the police would not have the evidence they now have to catch the perpetrator," the attorney said. The victim was a patron of the bar but was not intoxicated when he left the bar and then stayed in his vehicle for a period of time after the 2:30 a.m. last call, Cohen said. He said the shooter "was never in the club, never interacted with the patron in the club," Cohen said. They were at an administrative hearing when the police commissioner issued the emergency closure, which took over jurisdiction of the hearing, Cohen said. "The charges against the Groove Lounge are all bogus and reflect a prejudice against my minority business owners, two African-American women who own the Groove Lounge," Cohen said.